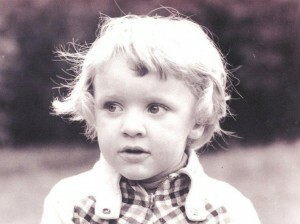 Stéphane Denève was born on 24 November 1971 in Tourcoing, north of France. As a young boy growing up in Roncq -near Tourcoing- he obviously had no idea that in just a few short decades he would travel the world, conducting and recording the music of Tourcoing’s most famous son, the composer Albert Roussel. 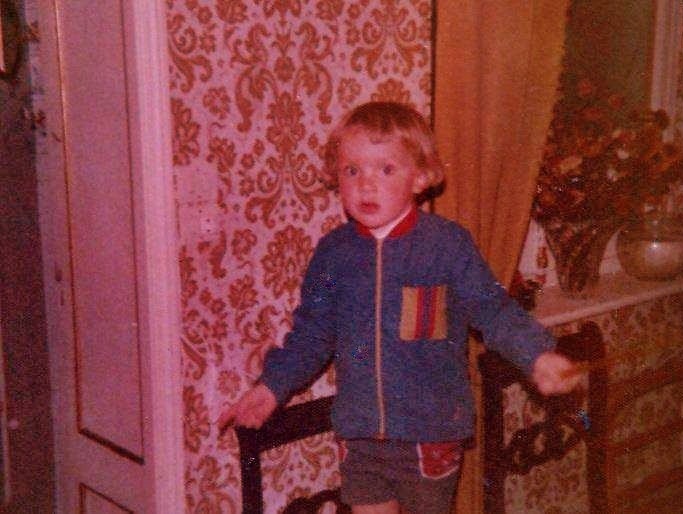 He was exposed to music from a young age, even sitting with his father in the amateur town band aged five or six (his father played tuba). At age eight, Stéphane began to study music theory and trumpet with André Tiberghien, a teacher from the local band. Around this time, he experienced the sound of an orchestra for this first time, through the outreach work of Jean-Claude Casadesus and the Orchestre National de Lille. Around the age of ten, Stéphane Denève began to listen in secret to one of the nuns at his Catholic school, as she practised the organ. The youngster was spellbound, listening to these new sounds as he hid. Upon discovery, the nun (Soeur Dalle), rather than disciplining him, took him under her wing and gave him piano lessons, despite the fact that the Denèves did not have a piano at home. After a few lessons, Stéphane’s musical ear and potential was obvious, so she encouraged his parents to buy a piano and enrol him at the Conservatoire of Tourcoing. A romantic 20 year old! Despite this, the teenager remained unimpressed by practising on his own (computers in the early 1980s were a big temptation! ), until he spotted an introductory class for conducting, which caught his interest. At only 13, Stéphane was too young to be admitted to the course. But his mother was insistent and persuaded the director to try him, on the grounds of physical stature – even then he towered over the other children – as well as to placate her. During a test in front of a student orchestra, the director noticed his natural ability to communicate through his hands and decided to break the rules and allow him on the course. Two months later, on his 14th birthday, Stéphane made his conducting debut with the Conservatoire de Tourcoing‘s student orchestra. In those teenage years, he also became the pianist of a local amateur male-chorus called “La Lyre Halluinoise”. It is thanks to its chorus master, Michel Jakobiec, that Stéphane met his piano teacher and soon to be greatest influence, the late Belgian pianist, teacher and musical philosopher, André Dumortier. Denève became his devoted follower, spending hours each week, for four years, studying musical styles, forms and philosophies. 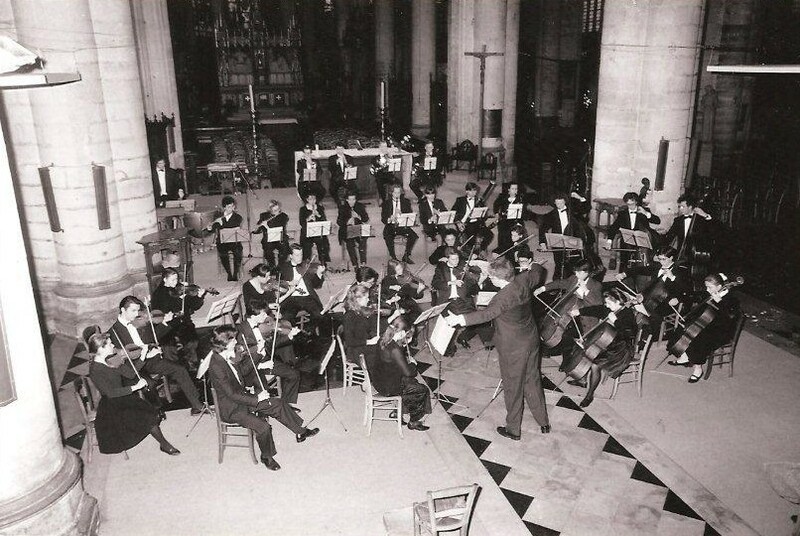 A 17 year old Denève conducts his own "Jeune Ensemble Orchestral du Nord-Pas-de-Calais"
In the photograph opposite, the 17 year-old professional-conductor-in-the-making is directing the “Jeune Ensemble Orchestral du Nord-Pas-de-Calais”, his own orchestra, made up of the best young musicians from the north of France. 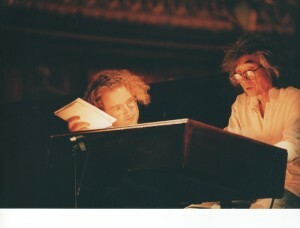 By the 1990s, Stéphane Denève had moved to Paris to study conducting and vocal-coaching at the Paris Conservatoire, and became also repetiteur pianist of the Chorus of the Orchestre de Paris, playing the piano for conductors such as Carlo-Maria Giulini, Sir Georg Solti, Wolfgang Sawallisch, Sir Colin Davis, Mstislav Rostropovich, and Semyon Bychkov. Taking advantage of free student tickets, the keen student would spend most evenings at concerts – on Wednesdays the Orchestre de Paris, on Thursdays the Orchestre National de France, and the Paris Opera or the Chatelet for almost every other day of the week! Conducting opportunities soon followed, as Stéphane Denève was invited to guest conduct many orchestras across France. He was given his first professional opportunity to conduct an opera – Mozart’s Cosi fan Tutte – at the young age of 22. In this, the earliest film of Stéphane Denève conducting, the (rather audience-shy) student directs the Paris Conservatoire orchestra through the finale of Stravinsky’s Firebird Suite (at the end of the video one can see the teacher asking the overly enthusiastic audience to stop applauding as this ‘performance’ was supposed to be an exam!). 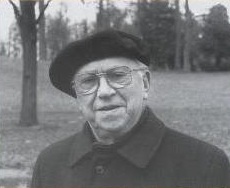 Denève was employed as pianist for the Chorus of the Orchestre de Paris and it was here that he made his big career break. Spotted by the legendary Hungarian conductor, Sir Georg Solti, he was asked to assist the Maestro by conducting parts of rehearsals. 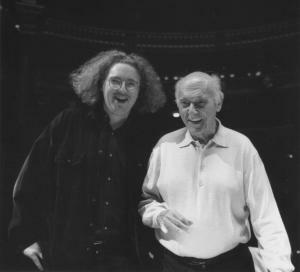 Impressed, Sir Georg recommended Denève to the Paris National Opera to be his assistant in Don Giovanni, staged for the reopening of the Opera Garnier. Six months later, a further invitation to assist Sir Georg at the London Philharmonic Orchestra gave Denève his first taste for the international stage. Here’s how France’s national 24-hour news channel reported this crucial turning-point in Stéphane Denève’s early career. For a translation of the interviews, click here. Denève graduated from the Paris Conservatoire in 1995, unanimously winning first prize, and was immediately hired as assistant at the Orchestra National de Lille. 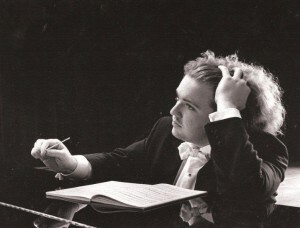 By 25, Stéphane Denève’s career had further opened up, with the post of Kappellmeister at the Deutsche Oper am Rhein that he held for four seasons, and engagements assisting conductors such as Georges Prêtre, Gary Bertini and Seiji Ozawa. He subsequently became a regular guest conductor at the Paris National Opera, conducting Puccini’s La Bohème, Mozart’s Così fan tutte, Le Nozze di Figaro and Die Zauberflöte, Massenet’s Don Quichotte and Poulenc’s Dialogues des Carmélites. He made his American conducting debut in 1999 with the Dialogues des Carmélites at Santa Fe Opera.